Scaling-up a chemical process from lab to manufacturing only gives useful results with accurate heat transfer coefficients. If thermal resistances and reaction rates are only approximate, large safety margins must be applied, resulting in larger investments or longer batch times, lowering the productivity of the process. In stirred tank reactors, the mechanism of heat transfer is forced convection, and it is of particular interest when scaling a process from the lab to the plant. The overall heat transfer coefficient in the reactor consists of three partial resistances (reactor film, reactor wall, oil film), which are determined by reaction calorimeters. Measuring the jacket and reactor temperature during the release of a well-defined amount of heat allows researchers to accurately compute the thermal resistance, which is used to model the heat transfer and to make critical predictions for reactors at larger scale. When a complex or sensitive process is scaled-up, comprehensive investigations of heat and mass transfer, reagent accumulation, and heat release rates are critical. Since the heat removal capacity of a reactor is typically limited by the cooling system capacity and the heat transfer of the reactor, the maximum reactant feed rate and the production capacity are also limited. Reaction calorimetry is essential to determine parameters that impact heat transfer coefficients to develop models to maximize manufacturing plant capacity. When scaling a stirred tank reactor from lab to plant, heat transfer is critical. 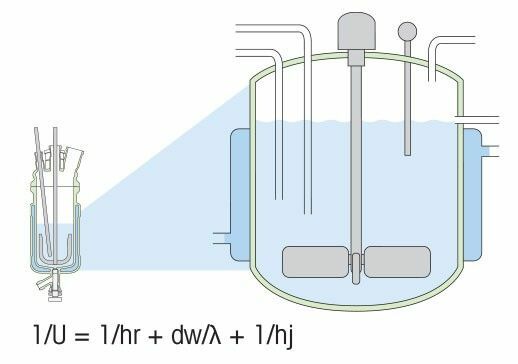 Since heat transfer is impacted by the reaction mass, the heat removal system, and the reactor design, the overall heat transfer coefficient [U] consists of three individual resistances: the reactor film [hr], the reactor wall [dw/λ] and the process-side film [hj]. Using the Wilson method, the reaction mass dependent contribution of the heat transfer coefficient can be characterized and separated from the other resistances. Combining this information with the characteristics of the reaction mass and specifics of the plant reactor, allows developing a scale-up model for the production reactor, and simulating the heat removal behavior for a specific process. For any reaction mass and temperature, measuring the heat transfer coefficient at various stirring speeds provides a standard way to model and estimate the heat removal behavior on scale-up. Successfully transferring an existing manufacturing process to a larger system requires measurement of reaction kinetics and optimizing the impact of temperature, concentration, dosing rate, and mass transfer on the yield and by-product formation. Researchers at Air Products investigated a multi-step alkoxylation process to adapt it to a larger manufacturing plant. As the process was temperature sensitive, the impact of process parameters was explored in order to measure heat release and identify potential issues associated with heat removal. Heat removal in the larger plant reactor was provided by an external jacket supplied with cooling water no less than 30°C. The alkene oxide feed rate was therefore restricted, due to the limited heat transfer by the jacket. A heat transfer model was developed using standard correlation for heat transfer in forced convection systems. Process Development and Scale-up Workstations, such as Reaction Calorimeters and OptiMax HFCal, provide the scientist with thermodynamic data in real time and the ability to investigate the impact of changing conditions on heat transfer or other essential parameters. Small scale reaction calorimeters, such as EasyMax HFCal, can identify non-scalable conditions quickly and support studies related to concentrations, temperature or kinetics. Heat Flow Calorimetry allows the user to measure heat generated by a chemical or physical reaction at conditions identical to plant conditions. 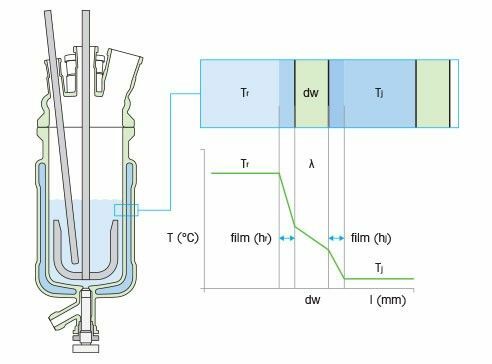 By simply multiplying the driving force across the reactor wall with the resistance to the reactor heat transfer, the heat removal can be quantified easily and accurately. If the heat flow balance is expanded by additional heat terms, such as the heat accumulation, the heat of dosing, or the heat released under reflux conditions, the user obtains comprehensive information about the progress of the chemical reaction, the impact of dosing rates, maximum heat flow, potentially dangerous accumulation of unreacted starting materials and much more. Mixing is the reduction or elimination of inhomogeneity of phases that are either miscible or immiscible. 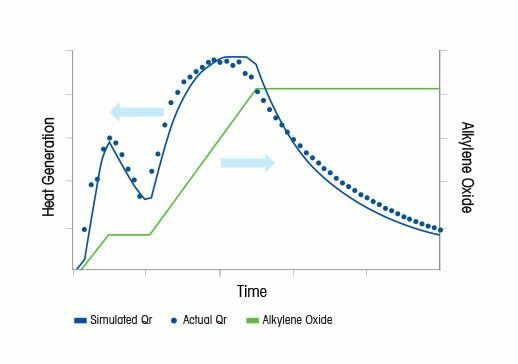 Process scale-up and optimization require that the impact of mixing on the reaction rate be quantified. 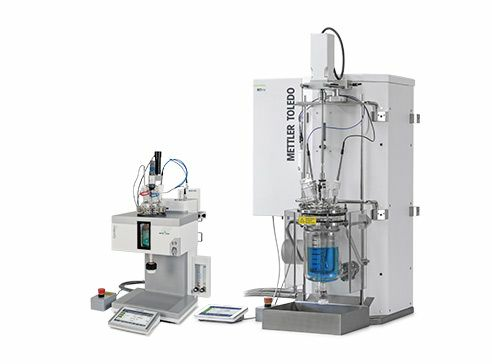 Automated, controlled experiments can be run in parallel in a laboratory reactor system to establish a mass transfer correlation, and provide a means to quickly adjust the gas/ liquid interface area and reactor volume. This achieves the desired conditions required for the scale-up or scale-down of a process. 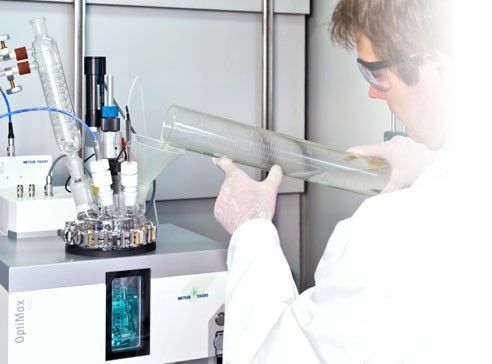 Optimization and scale-up of crystallization and precipitation to produce a product that consistently meets purity, yield, form and particle size specifications can be one of the biggest challenges of process development. How can I be sure that my chemical process is safe? It is critical to understand the risks inherent in moving a chemical process to a larger scale before manufacturing begins. The use of reaction calorimetry is an essential part of process development studies, providing detailed information about the rate of heat production. This allows researchers to optimize the temperature and dosing profiles to maximize process safety at all times, and reduce to a minimum the risks involved.